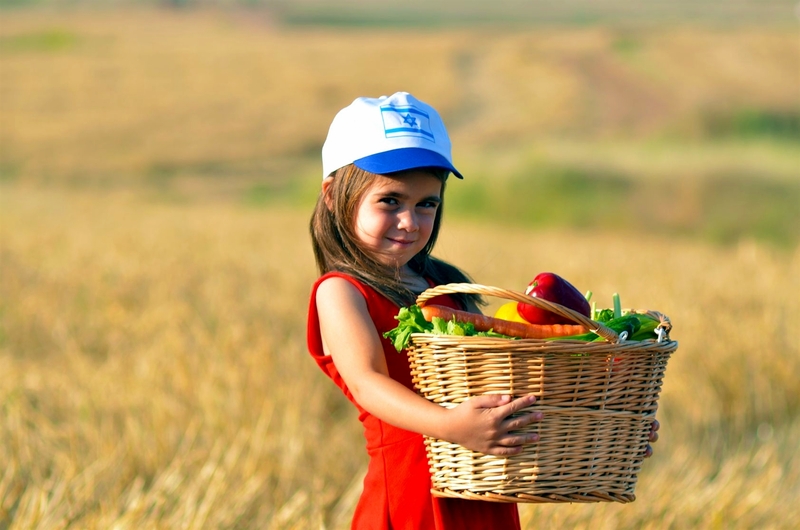 This article has been tagged with "Jerusalem Temple"
An Israeli girl with a basket of fruit and vegetables. 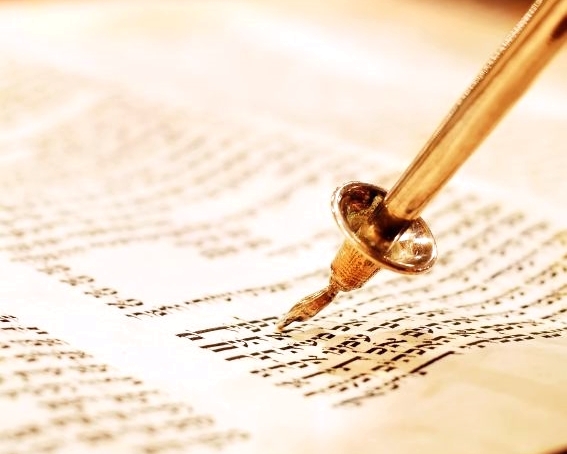 Last week, in Parasha Ki Tetze, God gave to the Israelites 74 of the 613 commandments found in the Torah—far more than any other Torah portion. These laws mostly seem to be concerned with protecting the weaker members of society. They include the laws concerning the beautiful captive, paying workers in a timely fashion, and leaving a portion of the harvest in the field for the widow, the fatherless, and the stranger. This week, in Parasha Ki Tavo (When You Enter), God instructs Israel to bring the first-ripened fruits (bikkurim) to the central sanctuary once the Israelites have finally entered the Land He promised to them. 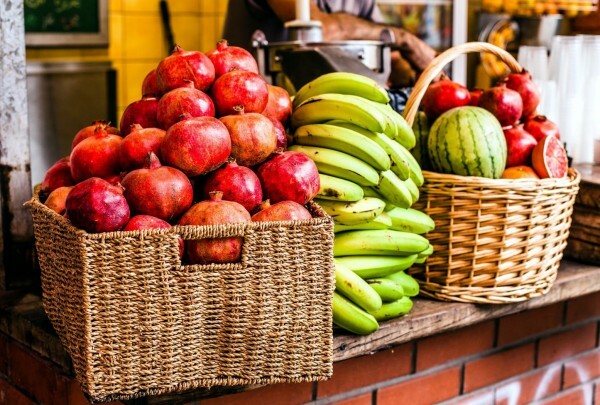 Baskets of fruit in an Israeli market. It must have been a relief for the children of Israel to hear that their prolonged, 40-year journey through the terrible wilderness would finally be coming to an end. They were about to cross over into the Promised Land. In fact, the word in Hebrew for a Hebrew, Ivri, comes from the root I-V-R, which means to cross over. In a spiritual sense, anyone who has crossed over into the Kingdom of God is an Ivri. For that reason, perhaps, Paul said that being a Jew is a matter of having a circumcised heart more than circumcised flesh. He wasn’t by any means negating circumcision; he was emphasizing that to cross over into the Kingdom of God, there must be an inward change. Those who worship God, worship Him in Spirit and in truth. The wilderness experience was so challenging and defining that future rabbinic texts consider any physical or spiritual desert as an enemy to be overcome. Our challenge is to walk through the times of wilderness in our lives and be transformed so that we can enter the Promised Land. Ki Tavo promises that obedience to God will be rewarded. These rewards include Divine protection, prosperity and blessings on families and future generations. Disobedience and rebellion against God, however, result in punishment; the Word of God lists 98 chilling admonitions that take up half of this Parasha. These include diseases, plagues, poverty, famine, slavery, and defeat by enemies. 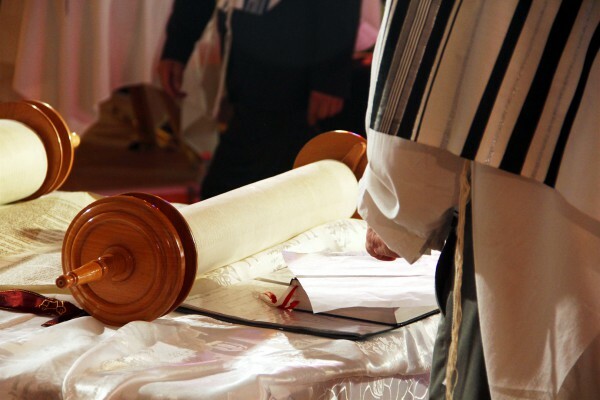 For this reason, Parasha Ki Tavo has been called “the warning chapter,” and the Torah reader, who traditionally chants the Torah portion according to a sing-song pattern, instead rushes through the recital of dreaded curses in a hushed, fearful tone. We don’t need to look far to see that the Jewish people have been blessed by the Almighty God as He promised; but they have also done more than their fair share of suffering over the centuries due to the curses of the law that come into play because of sin (Deuteronomy 28:15–68). There are some who follow Yeshua HaMashiach (Jesus the Messiah), but believe that it is our lot in life to suffer from these curses along with the rest of the world; however, the Word of God tells us differently. As covenant children of God, we are to enjoy His blessings on our lives if we are walking in obedience to His commandments. One of the first acts of obedience that the Lord asks of His people is to remove the firstfruits of our increase, our tithe, the sacred portion—and to give it to those who serve the Lord, as well as to the poor. If we are not obeying this command, then we have little Biblical basis on which to expect God’s blessings on our finances. 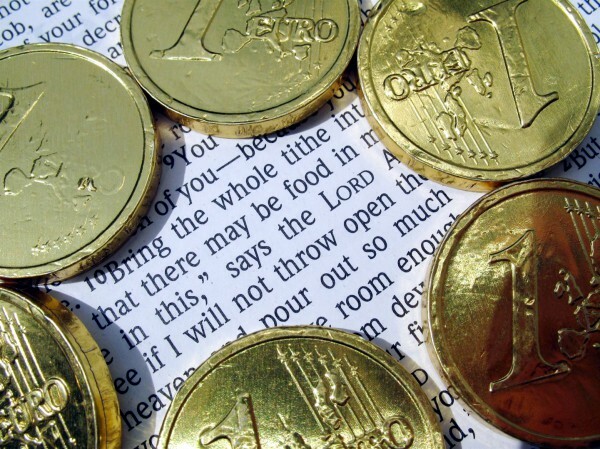 God promises that if we obey Him in giving our tithe, He will rebuke the devourer for our sakes and bless our finances. But the reverse holds true as well: if we fail to give to God the “hallowed portion” of our income, then we are breaking covenant by “robbing God.” When we fail to tithe, we come under a curse and give the devourer free rein to work havoc and destroy our finances. While Yeshua has removed from us the curse of the law, He has not removed from us the obligation to follow His example by living a holy life. When we understand that we are walking in sin in some area, we are to repent and return to Him. 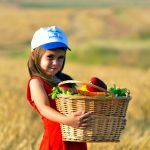 By giving our tithe—the holy (kadosh) portion of our income—removing it from our possession, we return to God in so many ways and He returns to us. In Judaism, the giving of tzedakah (charity) is considered such an important mitzvah (commandment) that if someone does not fulfill this law, their lineage actually becomes suspect. 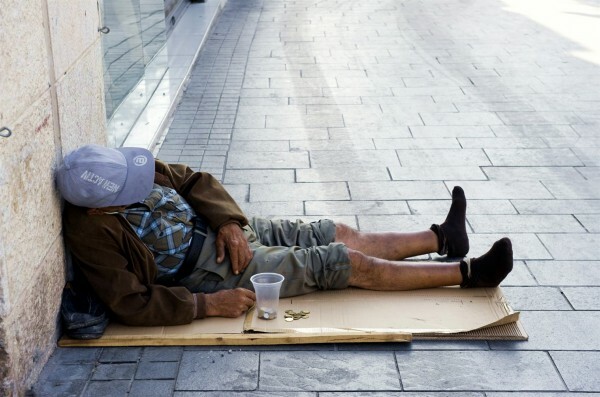 Giving to the poor is an obligation in Judaism, a duty that cannot be forsaken even by those who themselves are in need. Some sages have said that tzedakah is the highest of all commandments, equal to all of them combined, and that a person who does not perform tzedakah is equivalent to an idol worshiper. This principle is affirmed also in the Brit Chadashah (New Testament), which emphasizes that if we don’t give when we see a brother in material need, it is doubtful that the love of God truly dwells within us. Of course, the Lord rewards compassion and generosity. He promises that when we give to the poor and needy, the widows and orphans, He will pay us back for what we have given. 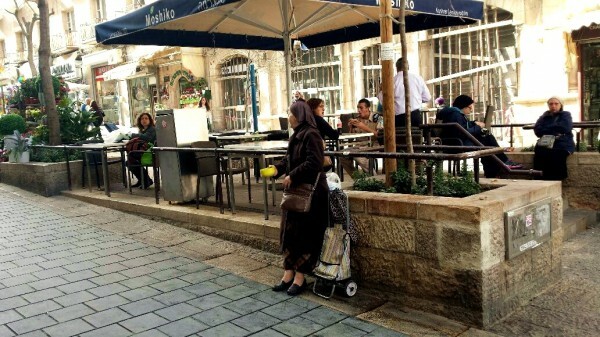 An elderly Israeli woman begs on the street to help make ends meet. In the Brit Chadashah, all followers of Yeshua are called God’s special people. Because of our covenant with the Almighty God through the blood of Yeshua, both Jew and Gentile together can know that they are God’s most treasured possession. In Hebrew, the word for special treasure is segulah (סגולה). The color purple in Hebrew is sagol (סגול), a word that comes from the same root letters. Why? Purple is the color of royalty! As the Lord’s segulah, we are clothed in sagol—the color of royalty. We are children of the King and He is our Father. He values and treasures us. There is no need to search for external or superficial qualifications. This is simply our identity in the Messiah! 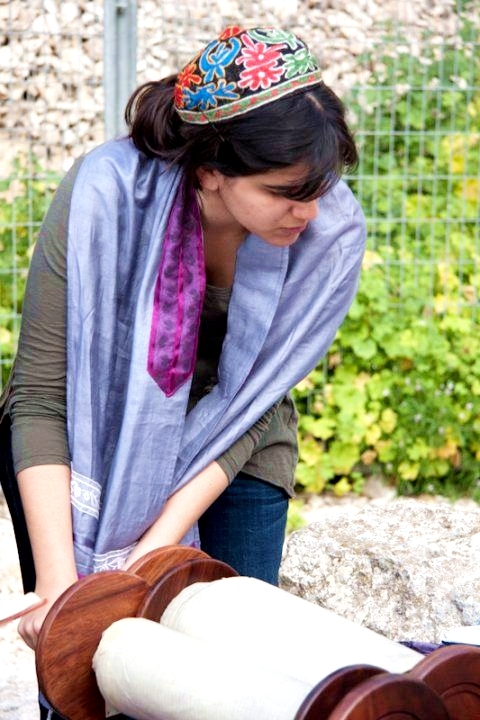 Israeli woman prepares to open the Torah scroll. We might look at ourselves and say, I don’t look much like a treasure; I’m too short or too tall, too fat or too thin, not pretty or smart enough to be a treasure. We might check in with our emotions and say, I don’t feel that I qualify to be called a treasure of God; I have so many faults and weaknesses—I need to work on keeping my temper; I’m not yet disciplined enough; I don’t witness enough—whatever we perceive to be our weakness. Although Paul continued to keep the law perfectly, he understood that his faultless performance was not to be compared to the righteousness that comes from God on the basis of faith. And while our own performance may not be as flawless as Paul’s, we must accept by faith that if we are empowered to walk in Adonai’s ways by His Spirit and are obedient, then we are in truth His special treasure. He values us because we are His covenant children and are each created in His image and likeness. A spark of His divine Shekhinah glory is within us. If we have a $100 bill and it accidentally drops on the ground, getting soiled, stepped on, crumpled and bent—is it worth any less than $100? No, it retains its value. So too is it with us. Many of us, however, do not understand our value. Some of us have not always been treated like a treasure. Perhaps parents, schoolmates, spouses, or fellow Believers have not treated us with honor and respect. We may have even been abused or mistreated terribly by people, as if we are someone inconsequential. How do we care for treasures? We put them in special places and guard them jealously, keeping them in a safe, secure place. Can we even fathom the grief and wrath that God feels when someone causes one of His segulah to suffer? We need to leave these injustices and hurts in the hands of the Lord who says He will vindicate us. Our only choice is to forgive those who have hurt and mistreated us. 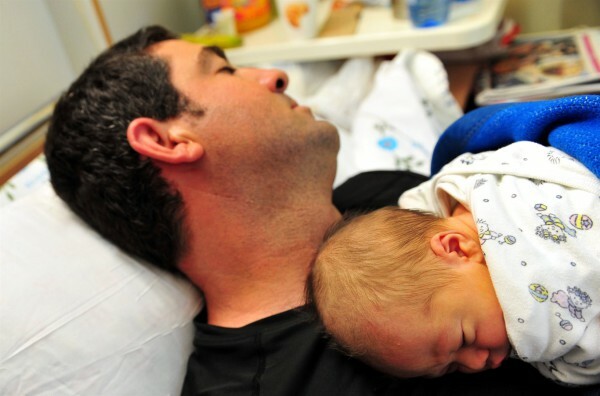 A father sleeps with his newborn on his chest. Sometimes, when we don’t see ourselves as valuable and worthy of respect, we send signals to others that we are valueless and worthless. The result often is that will treat us as such. Or our perception of how others treat us can prevent us from moving forward in God’s promises. For instance, when the Israelites saw themselves as grasshoppers, they thought that the giants in Canaan did as well! But when we begin to value and respect ourselves in a balanced and Godly manner, we will find more and more that the people in our lives properly value and esteem us as well. Part of our healing and recovery is a transformation in the way we see ourselves—knowing our identity in the Messiah as righteous, whole, precious, valuable. We receive these precious attributes only through His Divine Covenant. Let us enter into everything that God has for us—our freedom from condemnation, the freedom from the curses, the joy unspeakable, and the peace that passes all understanding. All these and more have been given to us through the New Covenant, bought with the precious blood of the sinless Lamb of God, Yeshua HaMashiach (Jesus the Messiah)! Throughout almost 1900 years of exile, the Jewish people yearned to return to Israel, rebuild the Temple in Jerusalem and restore the Temple service. 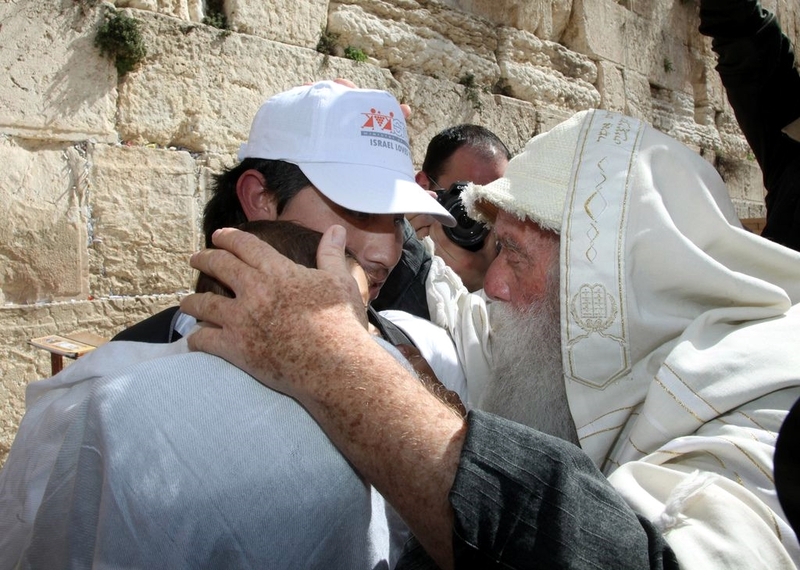 Three times a day, observant Jews pray, "May the Holy Temple be rebuilt speedily and in our day." 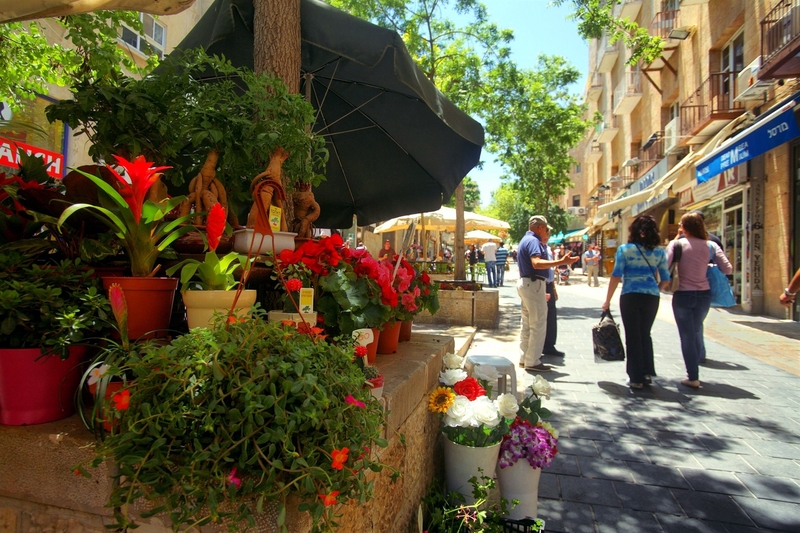 Although Jewish people have always lived in the Holy Land, after the Holocaust the Jews began returning to Israel en masse. In 1948, the Jewish nation was prophetically reborn (Isaiah 66:7–8 ) as the State of Israel, and ever since Jews have been streaming back to the Land from all four corners of the earth. Despite Arab attempts to claim the Temple Mount as their own, the Temple vessels for worship in the Third Temple have already been created. Discover one of Jesus' favorite retreat sites while in Jerusalem, the Mount of Olives (Har HaZeitim), a part of Jewish life for over 3,000 years. 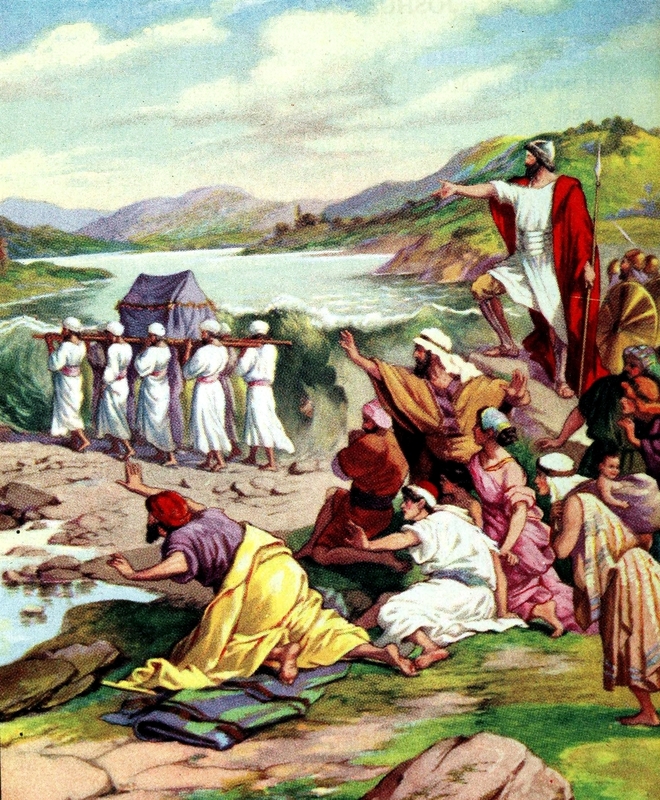 The Lord promises Israel in this Parasha that if they keep His commandments, they will be "His treasured possession.” And although they have experienced many curses over the generations, in the Haftarah (prophetic portion), the prophet Isaiah tells Israel that God in His favor and mercy will one day exalt them even in the midst of much persecution and hatred against them.